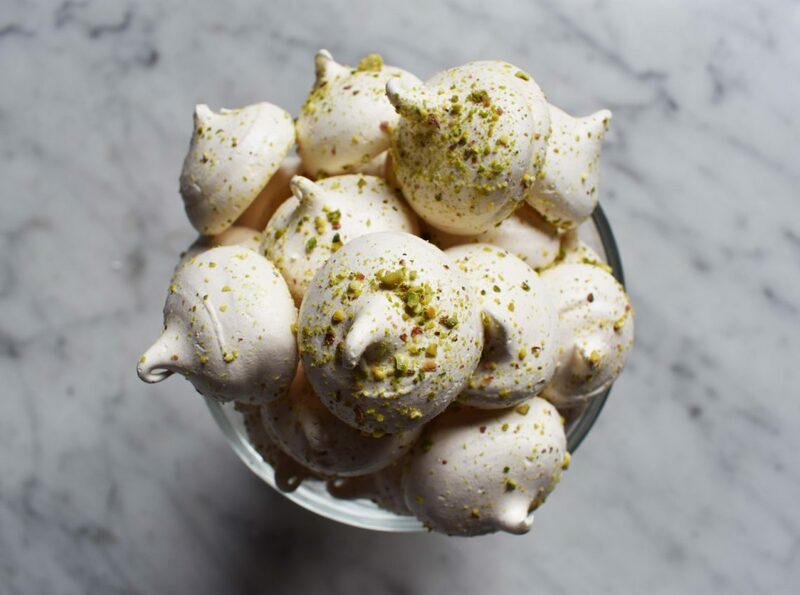 Am I right or am I wrong – meringues are best served with cream and ice cream. I makes meringues a lot on a Sunday as they are so easy (once you’ve cracked them) and they always look so pretty. For fancy occasions you can fold in air fried fruits, cocoa powder, coconut, lemon oil really whatever takes your fancy. Beat the egg whites and the salt until stiff. You’ll need a hand mixer or a table top mixer is ever better. Beat the sugar in a teaspoon at a time. The mixture should be firm and light. Spoon small ladles of the mixture onto a baking sheet lined with parchment. Place in a preheated oven gas mark 2 and turn the oven off. Leave in the oven for 1 1/2 hour if you like them chewy or over night if you like the meringues dry.